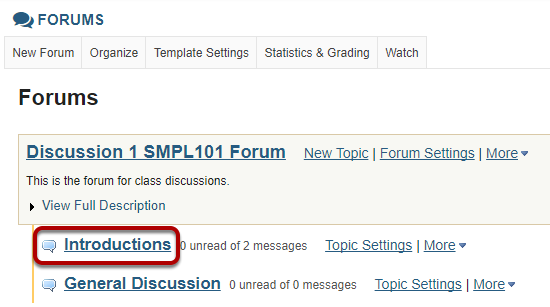 Sakai Community DocumentationSakai 19 User Guide (English) ForumsHow do I delete a forum post (i.e. conversation)? Select a conversation from list. Zoom: Select a conversation from list. Click on the title of the conversation. Click Delete Message for the message you want to remove. If you are sure you want to delete the message, click Delete again to confirm removal. The message will be permanently deleted. 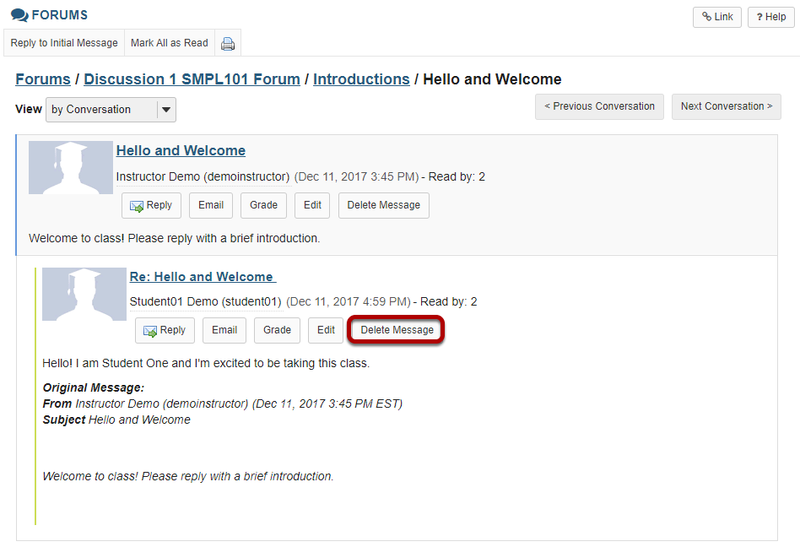 Prev: How do I email a forum post author? 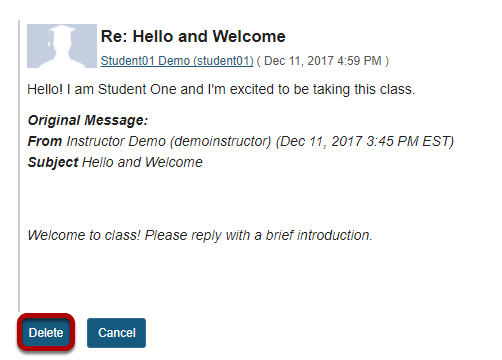 Next: How do I moderate a topic?